Hi! Last Tuesday I was invited by Skin Aqua to attend their beauty talk along with fellow beauty bloggers. The venue was in Tartine Restaurant, fX Sudirman. 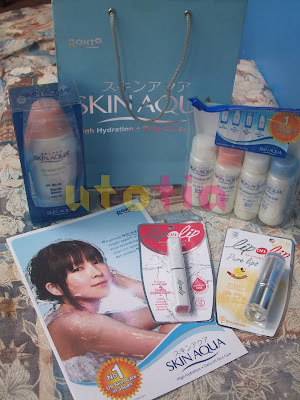 Actually, I already being familiar with this skin care brand, I often glance through the supermarket/ hypermarket skin care aisle and I always find this Skin Aqua. But, I haven't got any chance to try it. 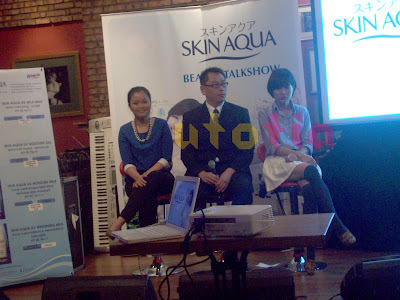 So, I was really excited to attend this beauty talk held by Skin Aqua. To avoid the horrible traffic jam, I took the bus at 4 pm and I arrived at 4.30 -_- Wow, the traffic was kind enough, but this was way too early. Since I came alone, I decided to wander around until 6 pm. When the time came, I entered Tartine and it was already crowded! Have I known this before I would enter it earlier... Hahaha, anyway, the restaurant is nice, the interior and ambience are nice, too. 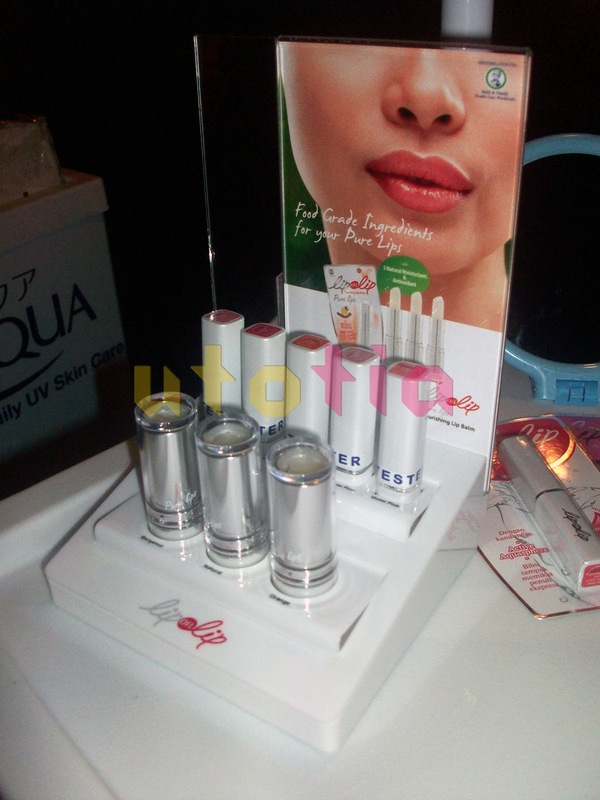 So, when I first entered the venue, I couldn't help but looking at the two stands; Skin Aqua and Lip on Lip (both from Rohto Mentholatum). And when I looked at my right, there was a small stage with Skin Aqua x-banner and three stools for the speakers. 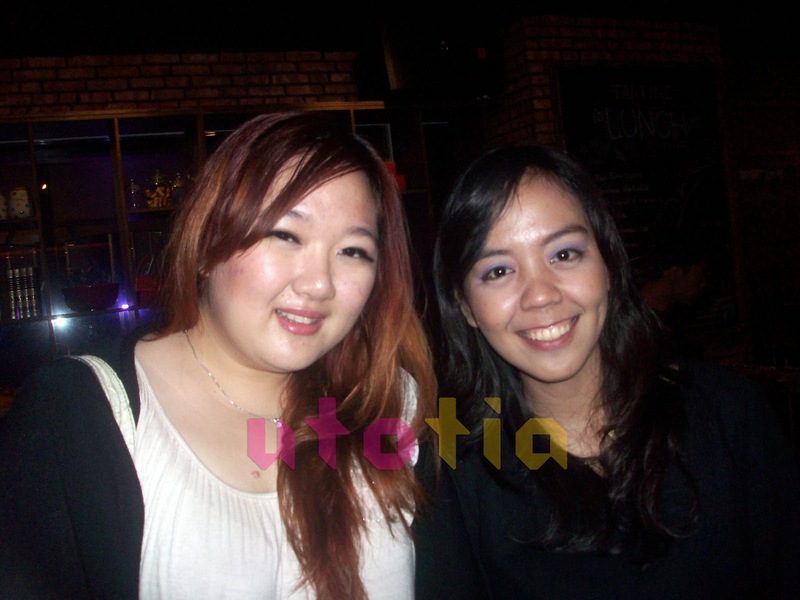 Soon after I arrived I met Meylisa and Nita. After that I rushed to the stand to look closer at the product tester. The beauty assistants were very friendly by the way, they also encouraged everyone to do the skin check and try the suitable Skin Aqua product to our skin. The queue for skin check was so long that I decided to have my dinner first. 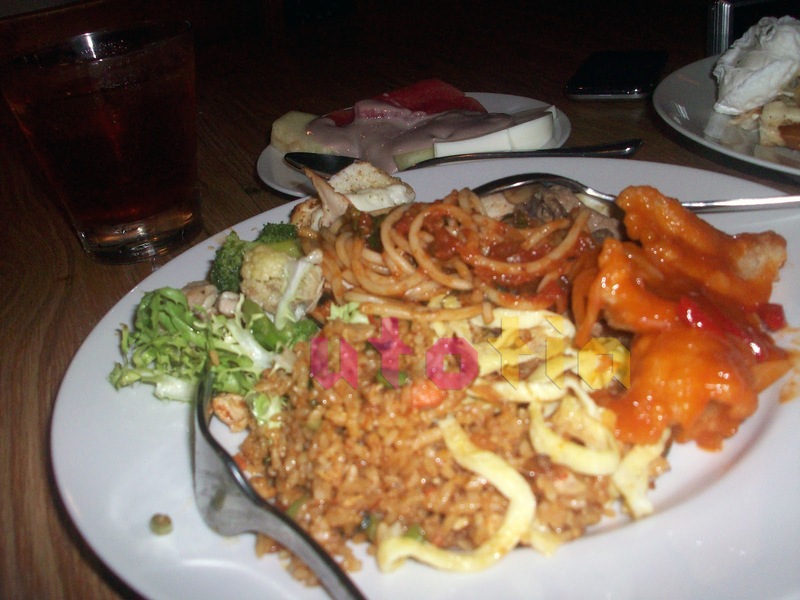 While having our dinner, me, Meylisa, and Yessy chit-chatted about so many things, including Big Bang Concert (yes we're K-Pop addicts!). Soon after the dinner session, the talk starts right away. There were three speakers; Mr. Furuya Akiyoshi (VP PT. Rohto Laboratories Indonesia), Ms. Arinda Christy (Fashion & Beauty Editor), and Ms. Dita Amalia (Brand Manager Skin Aqua Indonesia). Ms. Arinda Christy talked about the fashion tips during Fall/Winter season (though Indonesia is not a four-season country, but we also follow the same trend right now) and how to adapt the fashion items and color mix in Indonesia. She also talked about the do's and don't's for Fall/Winter fashion in tropical country. 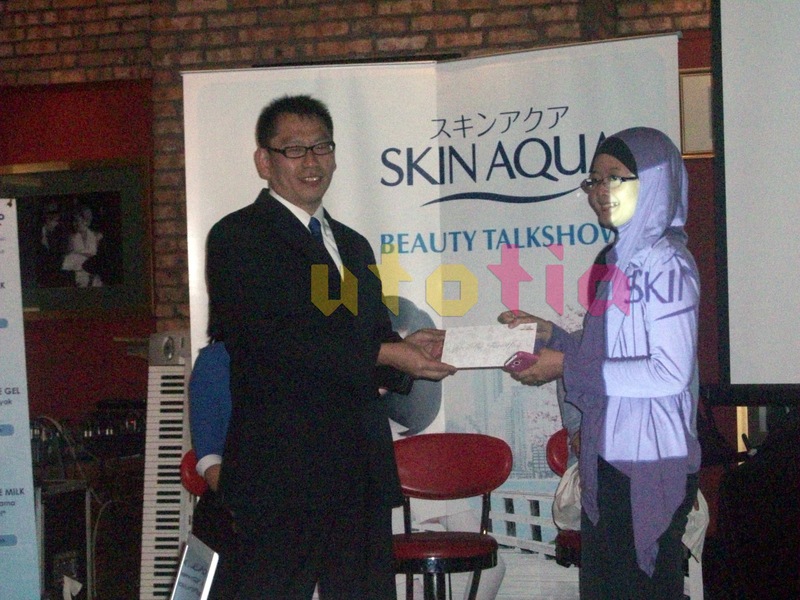 Next, Mr. Furuya Akiyoshi did a brief intoduction about Skin Aqua, it was started from the history of Skin Aqua, the formula, until the reason behind Skin Aqua's expansion to Indonesia. 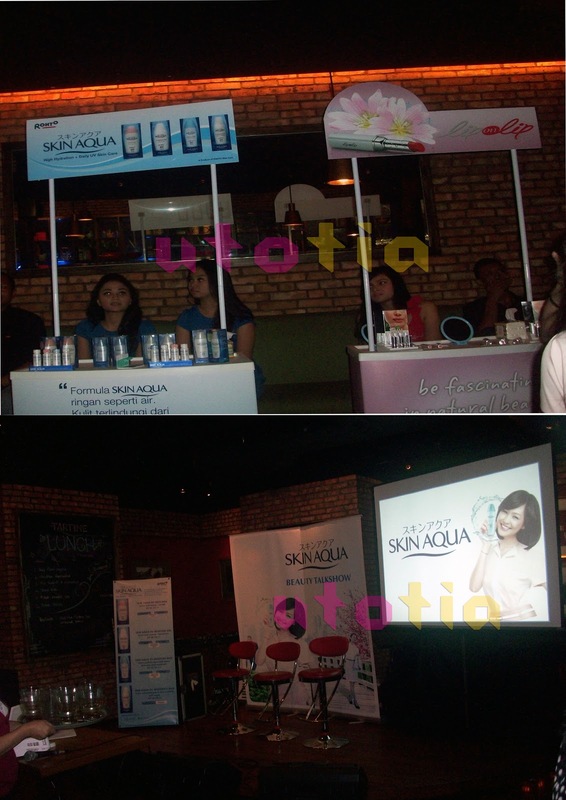 And the last but not least, Ms. Dita Amalia explain further about Skin Aqua. 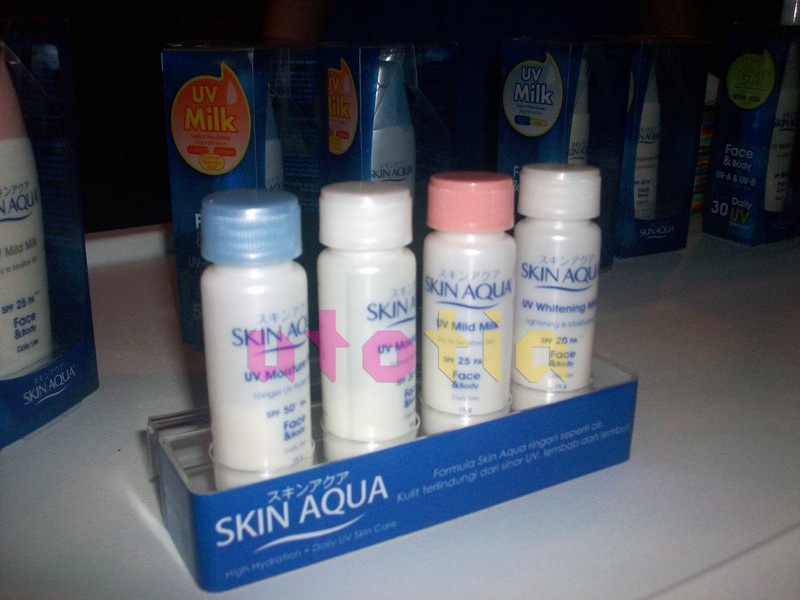 So, in brief, Skin Aqua contains sun protection, both from UVA (with PA++) and UVB (with SPF). Moreover, Skin Aqua also contains improved Hyaluronic Acid (AcHA), which is a modified Hyaluronic Acid that moisturize skin 2x better than common Hyaluronic Acid. Not to forget that this product also contains Collagen and Vitamin B5 , C, and E to add moisture and give nutrition to the skin. This talk was followed by a Q&A session and a Quiz session. The lucky beauty bloggers are Kattie and Feli. After the lucky draw, the beauty talk ended, but they let the beauty bloggers who haven't check their skin to do the skin check (yay!). 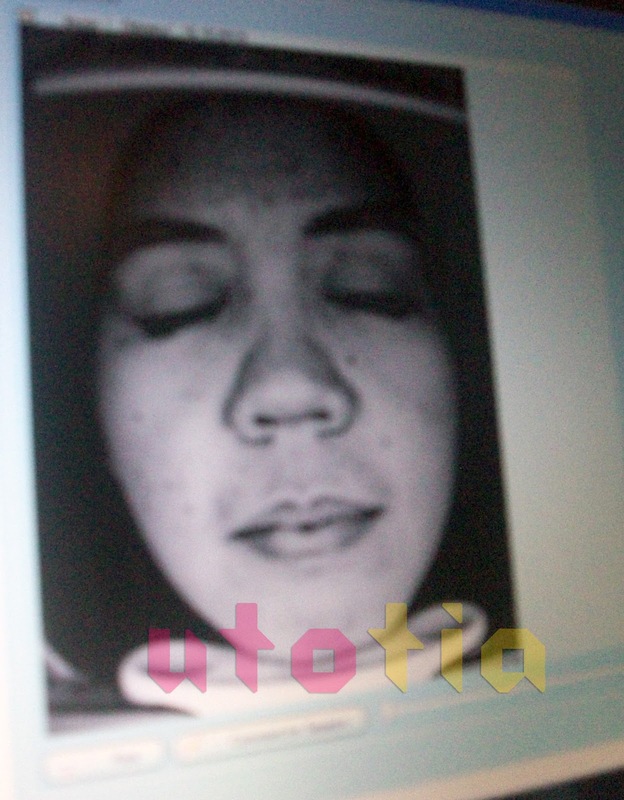 So, I did the skin check and the result was a little bit frightening (I don't know, but I always feel nervous to do skin check, maybe because I'm afraid of the results). So, the beautician told me that I am most suitable to use Skin Aqua Mild since it was made for those who have dry skin. And since, I already have so many incoming UV spots, I have to wear sunscreen daily. OK, I WILL NEVER skip the sun protection, not anymore. Last but not least, Skin Aqua kindly gave me these freebies inside the goodie bag. Well, thank you so much for the invitation and the products, Skin Aqua! :) Hope that I can review these products soon. 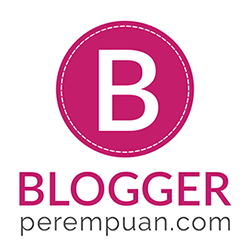 followed your blog.. thanks for comments, keep in touch, girl!